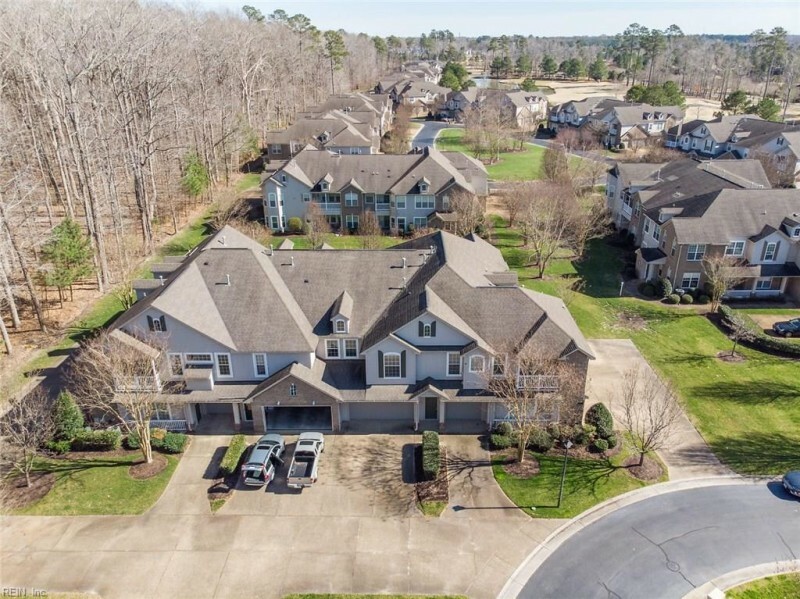 DRIVE THROUGH THE SCENIC SIGNATURE GOLF COURSE NEIGHBORHOOD, ENTER YOUR OVERSIZED, TWO CAR GARAGE AND USE THE PRIVATE ELEVATOR TO ENTER YOUR BROWNINGSTONE VILLAGE CONDO IN THE 55 AND OLDER, WEST NECK COMMUNITY. ENJOY THE CAREFREE LIVING THIS FRESHLY PAINTED, 3 BEDROOM, 2.5 BATH OFFERS YOU. THE MASTER HAS A WONDERFUL WALK-IN CLOSET, OVERSIZED VANITY, AND JETTED TUB. THERE IS A LOVELY BALCONY OFF OF THE LIVING AREA WHERE YOU CAN SEE THE 16TH HOLE OF THE ARNOLD PALMER SIGNATURE GOLF COURSE. THE UTILITY ROOM IS EQUIPPED WITH LOTS OF SHELVING AND EACH BEDROOM HAS NATURAL LIGHT ALONG WITH DEEP STORAGE CLOSETS. NOTICE THE BUILT IN DESK AREA. THE CONDO FEE INCLUDES GROUND MAINTENANCE, MASTER INSURANCE, WATER, SEWAGE AND PRIVATE TRASH PICKUP. ALL APPLIANCES ARE IN WORKING ORDER BUT ARE BEING SOLD AS IS. Ready to visit 2835 Browning? Request a free property tour! Send me more information about the listing at 2835 Browning, Virginia Beach, VA 23456, MLS# 10239915. This 3 bedroom, 2 bathroom home located at 2835 Browning, Virginia Beach, VA 23456 has approximately 1,554 square feet. It is currently listed for $249,900 and has a price per sqft of $16,081. This home is currently Active under the MLS#: 10239915. This listing is provided by The Real Estate Group. 2835 Browning Drive, Virginia Beach was built in 2002. It has Garage Att 2 Car, Driveway Spc parking.The kitchen includes Dishwasher, Disposal, Dryer, Microwave, Elec Range, Refrigerator, Washer. 2835 Browning is part of the West Neck neighborhood located in 23456.